Penelope tells herself she’ll quit, but if she takes Fix one more time she’ll be able to see Nate, her imaginary boyfriend. She knows Nate isn’t real, but she senses he’s trying to tell her something. Fix is the popular drug at school. Her best friend Rose is her supplier and she doesn’t want to piss off Rose by quitting. Penelope has been dealing with the year from Hell. Her sister killed herself and her mom has a verbally abusive boyfriend. Fix helps her get through life. One night when Penelope goes to a party at Rose’s the night turns ugly after a bad trip on Fix. Should Penelope turn to her childhood best friend Jenelle for help? This YA Thriller covers a multitude of important topics. Teen drug use is the major one. Mind altering antidepressant pills are popular. Relationships are another topic covered in this novel. Penelope is trying to navigate her rocky friendship with Rose and her ships in the night relationship with her mom. Then there’s Nate who seems to only come to her when she’s on Fix. Penelope did have a real boyfriend, but that’s in the past. Grief is another big topic covered. How we deal with the sudden passing of a loved one. 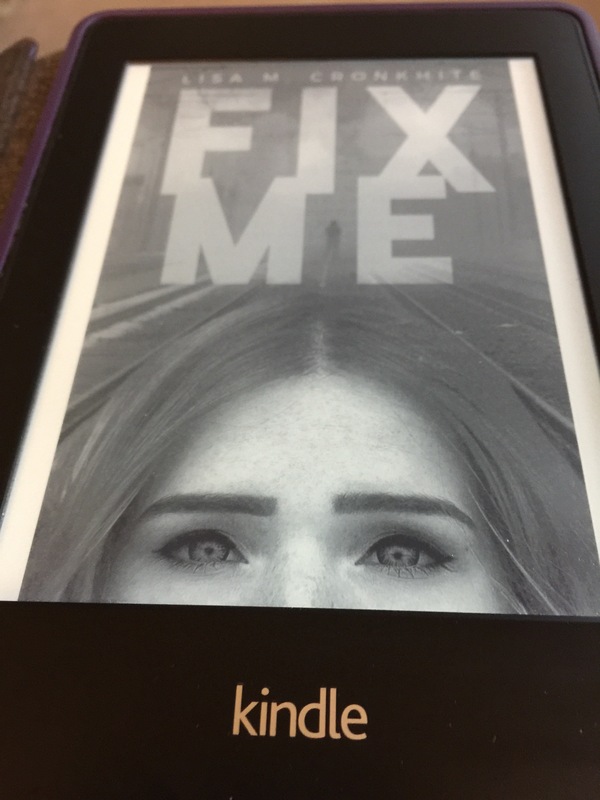 If you enjoy mysteries and thrillers I highly recommend Fix Me by Lisa Cronkhite. I almost read this ARC in one day. I was given this book for free from NetGalley in exchange for my review. Thank you for an awesome read.